Past sexual harassment allegations are coming back to haunt one of the frontrunners in a Santa Clara County supervisor race. 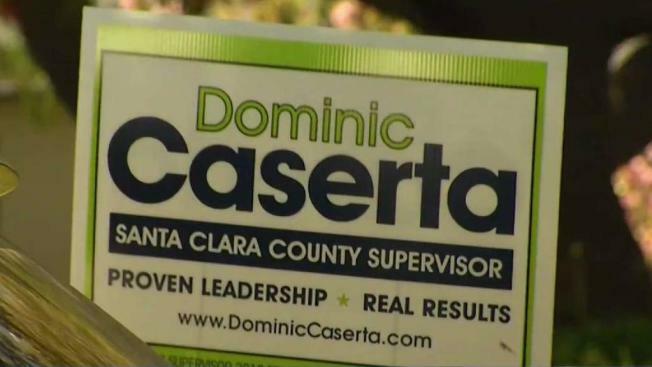 Santa Clara City Councilman Dominic Caserta has lost key endorsements after the allegations were made public by San Jose Inside. Law enforcement groups including San Jose's police union, a firefighters union and the county government attorneys withdrew endorsements and demanded Caserta withdraw from the race. They also want him to resign as councilman. "These sorts of allegations make him unfit as a candidate," said Vicki Gemetti, a Government Attorneys board member. "They also make him unfit as a city council member." On Wednesday, Caserta, also a high school teacher, responded to the allegations that involve students and a city staffer. He said he's already been cleared of the allegations, which are being dredged up from the distant past. "It was objectively and thoroughly investigated by the school district 16 years ago and 10 years ago," he said. "By the way, I was running for election in the two years. And I have been teaching ever since. If there had been anything inappropriate, I would not have been in the classroom." Caserta said he will not resign or withdraw from the race because of "falsehoods." "I have done nothing wrong, and I do apologize if someone perceived that I have," Caserta said. In the same race, Democratic leaders denounced county supervisor candidate Pierluigi Oliverio for past Sexual harassment claims, which he emphatically denied.